The mission of the Santa Monica Track Club is to help runners achieve their full potential with a methodical training program accompanied by a healthy lifestyle. In 1972, Joe Douglas set up the Santa Monica Track Club . By the 1980s, his team became known worldwide for setting numerous world and national records. 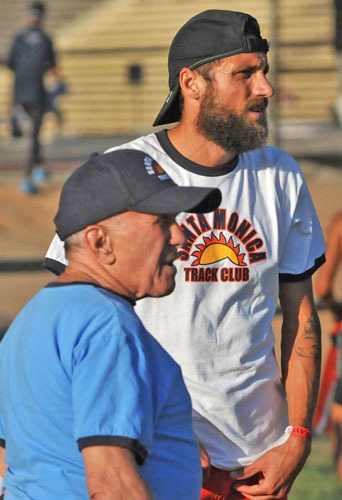 The Santa Monica Track Club logo became a recognizable icon on its elite athletes. Today, those cool T-shirts, baseball caps and sweat suits are available to the public. 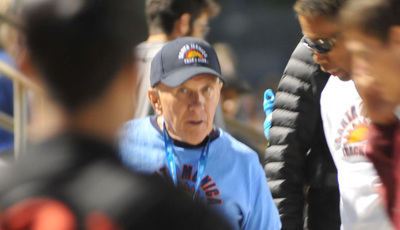 Meanwhile, back on the Santa Monica track, Joe is still coaching a group of world class middle distance runners preparing for the 2015 summer track season with sites for the long term on the next year's Olympics in Rio de Janeiro. Joe is concentrating on middle distance events: the 400m, 800m and 1,500m. In its first year of existence, Willie Rios, from Puerto Rico, joined the club and qualified for the 1972 Summer Olympics. In 1974, Reid Harter set the first American Record in 30 km road race. By 1976, three team members qualified for the 1976 Summer Olympics. In 1979, Carl Lewis, a top level High School long jumper, joined the club after graduating from the University of Houston. Trained by Coach Douglas and Tom Telez, Lewis became the dominant force in sprinting and long jump for the next decade. Other elite sprinters joined the club, including Carol Lewis, Carl's sister and University of Houston teammates Joe DeLoach, Leroy Burrell and Kirk Baptiste. The club set several Olympic and World Championships. Lewis and Burrell exchanged the 100 metres world record four times. Michael Marsh, Leroy Burrell, Floyd Heard and Carl Lewis, Santa Monica Track Club set the still standing current World Record in the 4 x 200 metre relay, at the Mt. SAC Relays in 1994. Kevin Young's World Record in the 400 metre hurdles set in winning the 1992 Summer Olympics still stands. 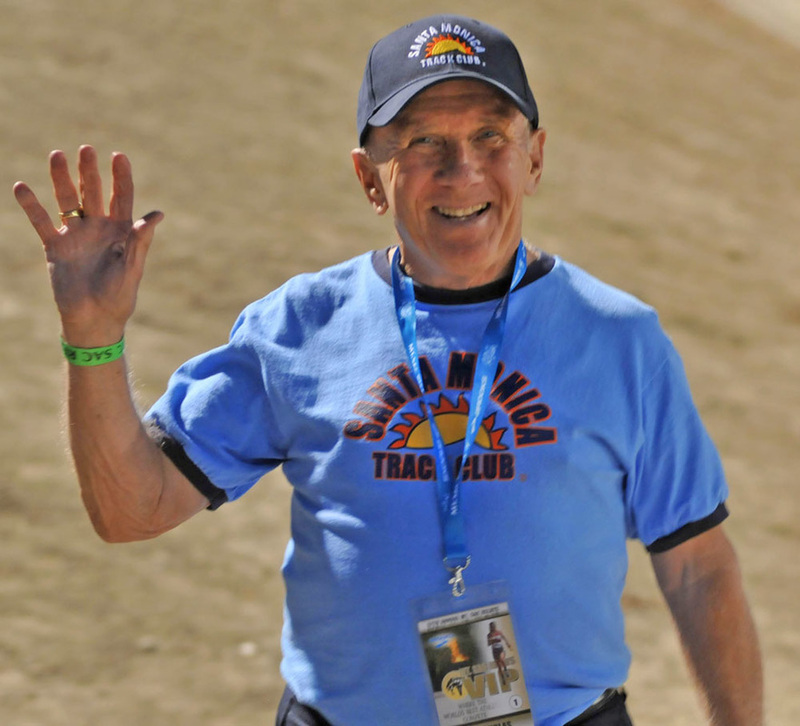 The club is funded through the Santa Monica Track Club Foundation, founded by Ed Stotsenberg, an early Masters runner who joined the club in the mid-1970s and became its president.